At 1056 hours, Box 1-4 sent Squad 8, Wagon 4, Tower 1, Truck 2, and Captain 4 (Feldman) to 1711 Derry Street for a report of smoke from the building. PD on scene evacuating the building, fire in the rear, possibly a kitchen fire. Captain 4 arrived with fire showing from the rear of a 2 story, occupied, duplex. 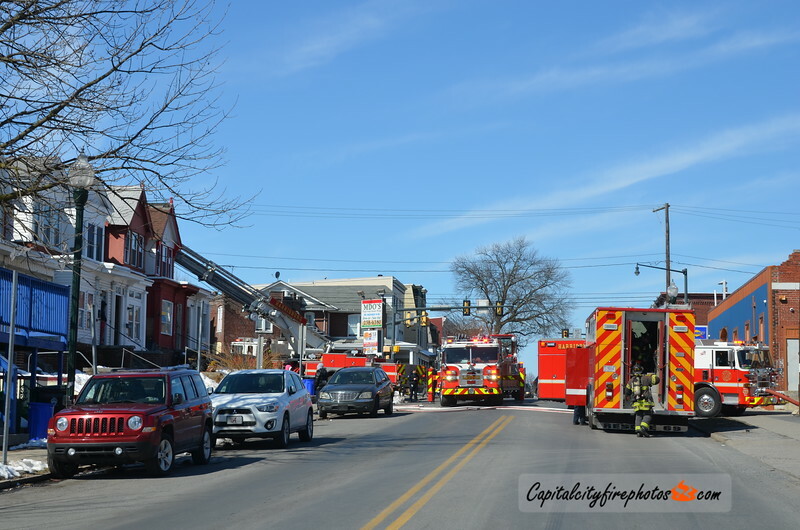 2 lines were stretched from the Squad, one into 1711 and one into the exposure at 1709 Derry Street. The first alarm was struck at 1102 hours bringing Wagon 3, Rescue 69, Air 13, and Chief 2 to the scene. Interior crews reported extension in the basement of the exposure. Rescue 69 was put to work and Truck 32 dispatched to the scene for RIT. The fire was placed under control in about 25 minutes.